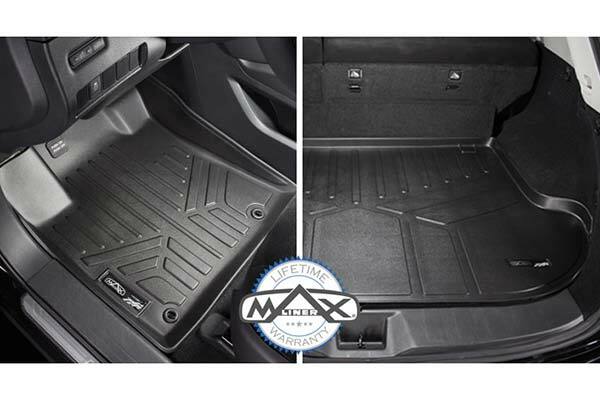 MAXLINER A0094/B0028 - MAXLINER All-Weather Floor Mats - FREE SHIPPING! These mats came and fit like a glove to my floor contours. They can look like they will stick up and interfere with feet at first (put them in with 14 degree temp into a cold truck), but one trip with heat on and they lay right to the floor and keep ALL of the floor covered. Great for sloppy weather! I am very pleased with these. Just what I had been looking for. 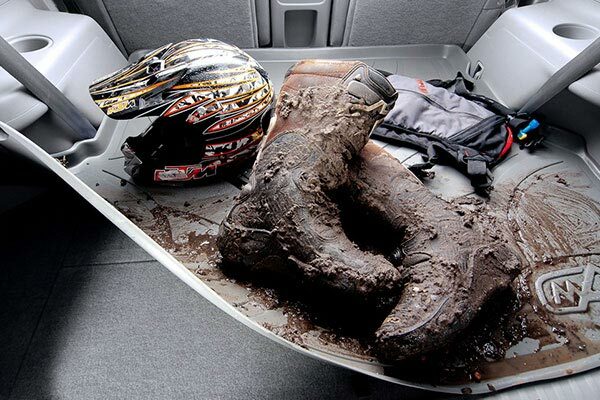 Awesome floor mats, fit perfect !!!!!!!!! They were a perfect fit at a great price!! This product was easy to install and looks great! The front installation was easy as just putting the mats down and walking away. The back mat required a little more work to get it in position. Fits really well but I don't think it was a perfect match. Had to give it a few days to let it settle in and conform to the curves inside the truck body. Still looks great and it makes the truck look brand new on the inside. 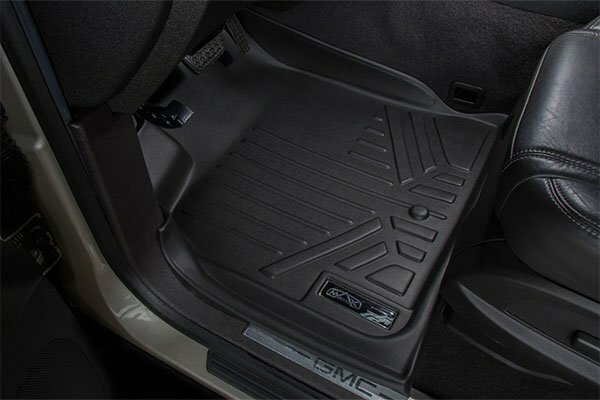 At first when I received the mats I was disappointed, but the moment I put them in the vehicle I could tell they are the perfect mats. Would buy them again. Great fit front and back. 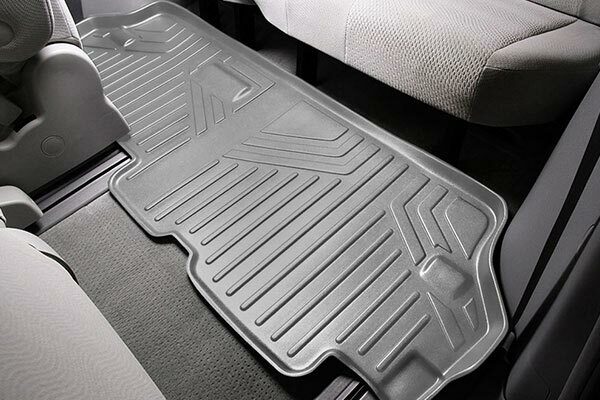 I like the mats, the only thing is the passenger mat has nothing to hold it in place. Find it slides around some. When I order my mats for an F-150, first order was wrong, but the customer service did a great job on getting my order correct. I was extremely happy with them. They fit perfect... I would consider buying here again. And if your looking for great mats I recommend these. 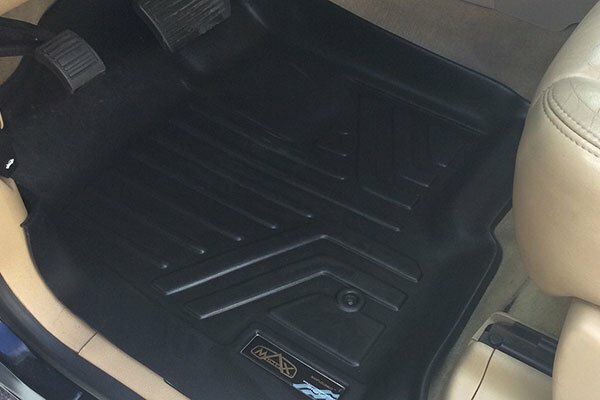 Installed the floor mats right out of the box with excellent fit. I have (2) large German Shepherds who regularly dirty up anything in their path. 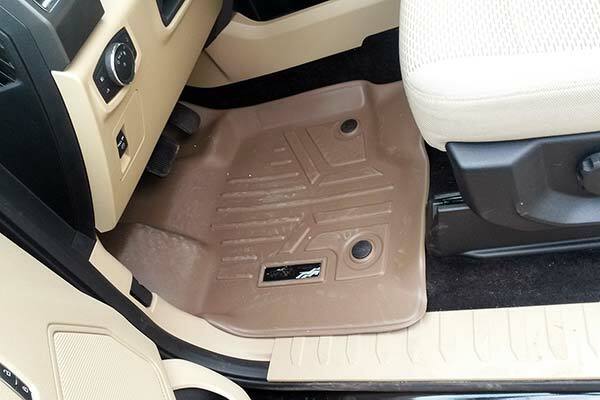 These floor mats pass the litmus test with the dogs as I could quickly remove, clean, and reinstall the rear back mat. And these mats look great too with the custom fit. Very satisfied and would recommend to anyone. Fit was very good. Installation was easy. Even cutting for the subwoofer was simple. I would advise laying them in the sun for several mins before installing them. They will lay down and conform better. 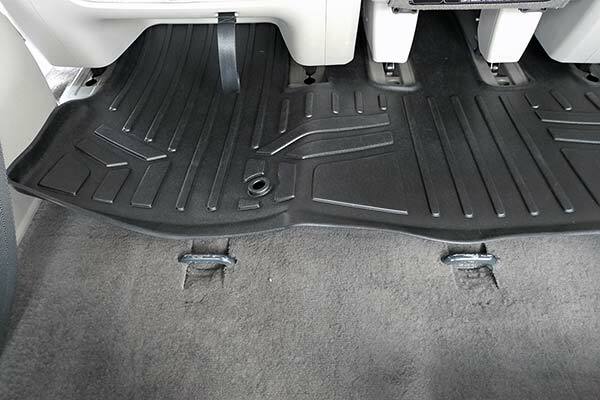 I was skeptical at first about the floor mats, but once I received them and then how easily they installed I was very impressed. Would highly recommend this company in getting the products they need for their vehicles. Awesome! Liners look good fit good great price excellant fit. The mats for the front fit like a glove. 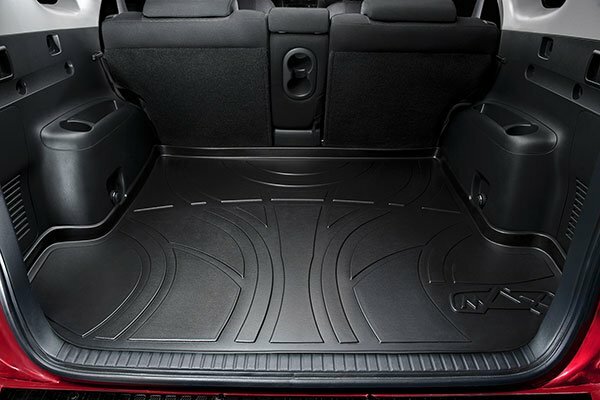 The mat for the back seat fit well but as well as the front mats. I am happy with them. A cheap investment when trucks are expensive as they are. One thing I didn't see before buying these is that some cutting may be involved. Maxliner does a good job with the instructions and the pre set places to cut. I have a factory installed subwoofer so I had to do a cut there and a cut by the seat so it would fit a little more tight. the cut by the seat wasn't necessary i just liked the look better. 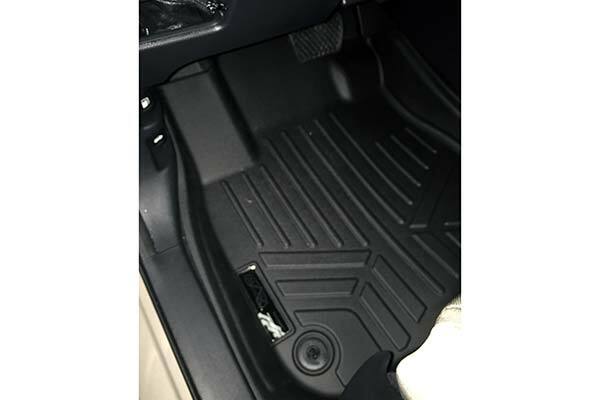 I also purchased a duha under seat storage and was worried it would let my seats sit properly in the down position with my custom floor liner it fit! Shipping was fast. Front mats fit like a glove. Had to do some minimal cutting to allow the drink holder in the back to deploy. It took a few days for the plastic to recover from shipping because it was 20 degrees out side. 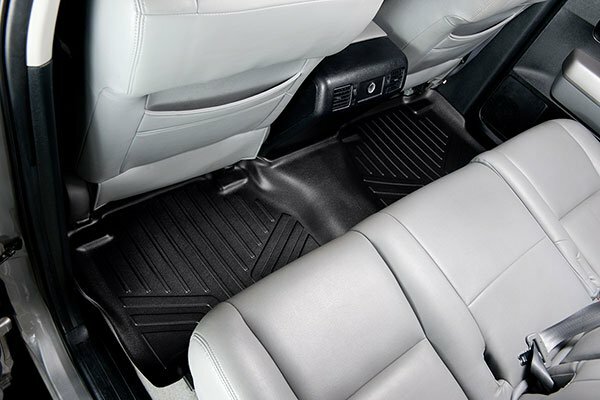 Good floor mats except the passenger seat one slides around some but overall a good buy. 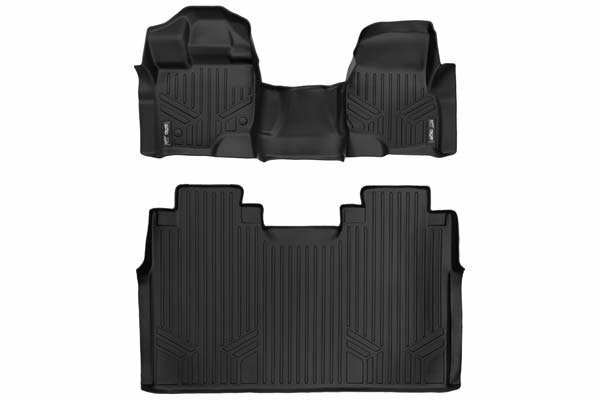 I bought these mats for our new F-150. The rear mat was folded up on the edges when I received them so the rear doors would not close. I called customer care and they advised to put the mats in the warm sun to flatten. This helped but I wouldn't say that they are 'conformed' to the shape of the back floor of the truck. Secondly, I brought our truck to the wash and the crew must have pulled up on the mat on the drivers side and it popped the fastener into two pieces. Not the greatest quality. Don't waste your money with these liners. Spend the extra money and purchase the higher end brand. I purchased these for my 2011 F150 Crew Cab. The only one that fits like a glove is the driver's side mat. 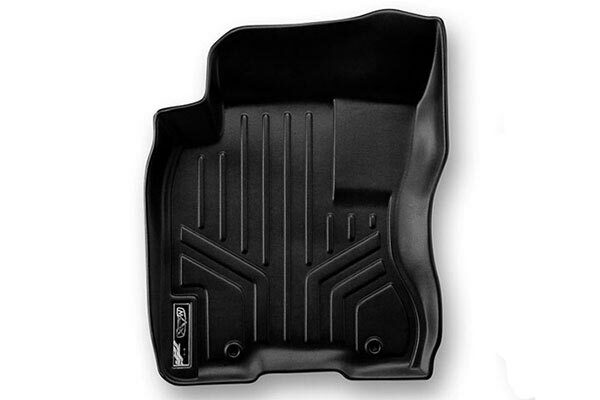 The back mat, which was the one I was most concerned about because of having 3 boys 6 and under, fit HORRIBLY! I had to cut/trim it because the ends near the door stuck up in the air and would trip my boys---very dangerous. I spent an hour trimming and form fitting that back one. These liners are not a total bust. 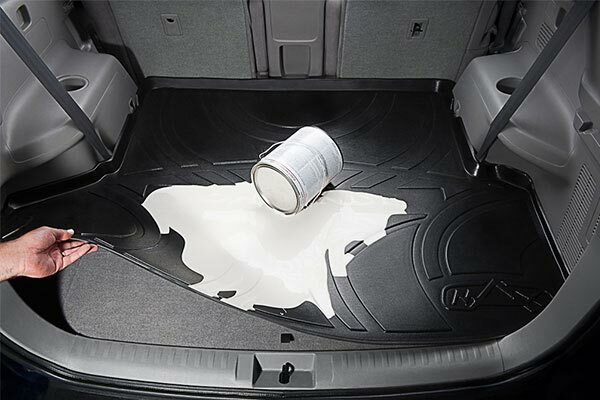 They look good and get the job done, however they do not fit as well as Husky or Weather Tech on the 2013 F-150. For the price, I expected a better product. We love the new floor liners Our friends came in from Las Vegas and they also had some. The only problem is the back liner in one section of the corner won't lay down very nice. I wanted to wait for a couple of weeks hoping that the heat of this desert would lay down right. The liners do not fit perfectly. Drivers side pegs do not go in all the way and stay.I would spend more for better ones if i could do it over again. 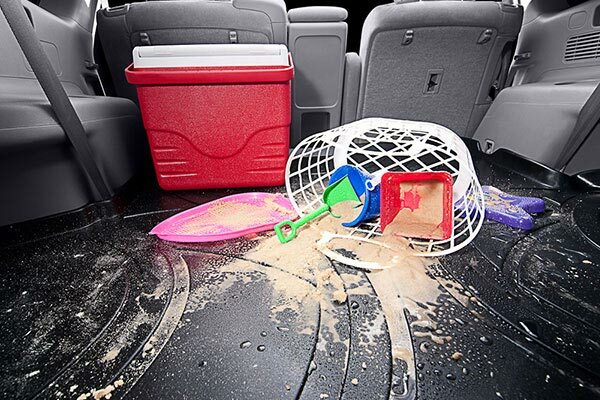 Rear mat also does not fit as promoted. Reference # 761-771-978 © 2000-2019 AutoAnything, Inc.